Although oil prices have tumbled by almost half since approaching $150 a barrel in July, it looks like black gold still has further to fall. 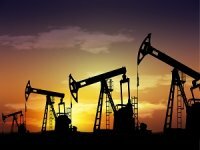 On Friday, the Paris-based International Energy Agency slashed its global oil demand forecasts for 2008 by 240,000 barrels per day, to 86.5 million barrels, and said demand would weaken in 2009 by a further 440,000 barrels per day, to 87.2 million barrels. The agency said that tight credit conditions were also starting to cut into supply by slowing the investments of oil producers. The cuts come on top of ones the IEA made last month, which leave the forecast for global oil demand growth at 0.5% this year and 0.8% next year. MF Global energy analyst Andrew Lebow said he - and likely the market - strongly expect the IEA to further revise demand estimates downward in the coming months. Lebow said he believes the Organization of Petroleum Exporting Countries will probably reduce production at their meeting in November, but he thinks oil demand will fall faster than OPEC can cut. ?It"s not clear whether the decision will have any effect on the market,? he said. OPEC will need to revive demand. ?We now know that the global economy couldn"t really handle prices above $100 and OPEC will have to figure out a price the economy can handle,? Lebow said. 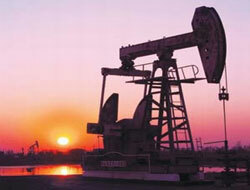 Oil prices have further to fall as the global economy and the credit market constriction wreak havoc on demand. Exxon Mobil a bellwether in the oil sector, didn"t take the news well, tumbling 8.3%, or $5.64, to $62.36, at the close. Exxon shares have fallen 33.4% since the beginning of the year. 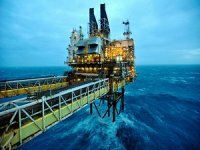 In comparison, Chevron 9.6%, or $6.17, to $57.83; Royal Dutch Shell) slid 5.8%, or $2.74, to $44.70; and ConocoPhillips plummeted 10.4%, or $5.60, to $48.23. While Exxon"s price-to-earnings ratio is 7.8, Benchmark analyst Mark Gilman says that number, which is based on oil at $100 a barrel, is misleading. With oil at $80 a barrel, the ratio doesn"t look as good, since Exxon's earnings would decline. If crude falls to $50 a barrel, which is what Gilman predicts will occur, the ratio will climb even higher. Gilman has a ?buy? rating on EnCana, Devon Energy Total, Royal Dutch Shell, which have more favorable valuations compared with the rest of the sector. Light, sweet crude for December delivery fell $8.63, to close at $77.99 per barrel, falling significantly from its high of $147.27 in July. United States Oil Fund, an exchange-traded fund that tracks oil prices, lost 4.5%, or $3.10, on Friday, falling to $66.50. UK's Ineos to Buy ConocoPhillips North Sea AssetsBritain's richest man Jim Ratcliffe's oil and gas company Ineos Group Holdings is in exclusive talks with ConocoPhillips to buy North Sea oil and gas fields worth $3 billion from the U.S. energy company. Turkey to Start Drilling on Block of DanubeTurkey will begin drilling in Black Sea in the upcoming days. 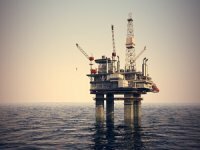 Drill, which will be operated on Block of Danube, has been planning to conducted in the crossroads between Bulgarian and Romanian maritime borders with inland waters of Turkey. 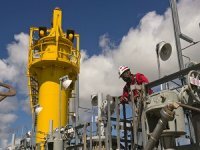 BP to Supply Crude to St. Croix RefineryBP Plc's trading arm on Friday entered a tolling agreement with the owners of an idled oil refinery in St. Croix, U.S. Virgin Islands, cementing plans to bring the plant back online six years after it was idled by previous owners, the company said. Cheniere Bets New World Gas Demand Despite TariffWearing a hardhat and orange vest, Ari Aziz climbs metal steps under a blazing sun until he’s standing atop an 180-foot-high tank in Corpus Christi, Texas. It’s big enough, he proudly points out, to hold a jumbo jet placed diagonally. 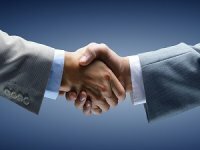 KOTUG Agrees to Form Joint Venture with Egyptian ProviderTowage company KOTUG International BV has signed an agreement with Egyptian provider of offshore and marine services Petroconsult to create a joint venture company called KOTUG PETRO Maritime (KPM). Brent Oil Rises to Over $81 for Week BeginningInternational crude benchmark Brent increased to $81.42 per barrel at 06.54 GMT on Monday, while American benchmark West Texas Intermediate (WTI) saw prices of $71.97 per barrel.